Halloween Week of Horrors: Line-Up & Giveaway Announcements! 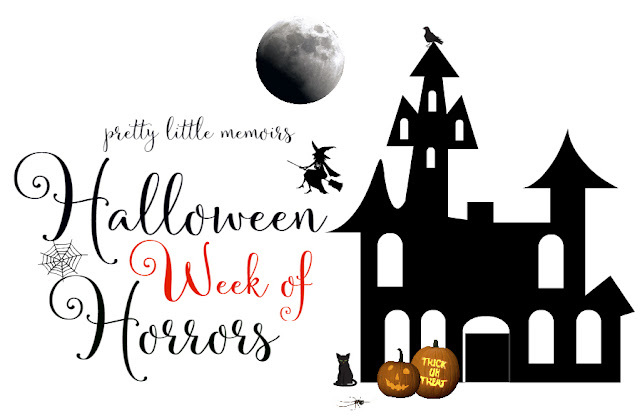 Hello, book lovers and welcome to the announcement for my yearly, spooky spectacular, that is: HALLOWEEN WEEK OF HORRORS. Ah, October. A month when I finally feel me again. There's the crisp, multicoloured leaves and the way the comfort of a warm sweater feels. There's hot cocoa and Pumpkin-Spiced lattes, dark nights and candles flickering ahead with my head nestled in a book. It's the month when everything just melts perfectly into that festive time of year. And, well, the holiday when I thrive... Halloween. Beginning Tuesday 24th of October until the 31st, there will be the most exciting events you can imagine! I'm going to be giving away two prizes that are seriously awesome, reviewing three of my favourite Halloween-related reads and getting spooky with some DIY bookish posts! There will be some book giveaways, along with the current giveaway of Stephanie Perkins newest novel that's going on over on my twitter page, but also tons of things YOU can get involved in! I really want to hear from my blog readers, so get in touch! I'm always open to new ideas. I'm excited to DIY some cool Halloween bookmarks and show you the surprise giveaway! It's small, yet mighty. Happy October! May everything in your life be sprinkled with Pumpkin-Scented things (unless you're allergic, then stay away from it).